With Grand Canyon train tours from Williams, Flagstaff and Phoenix you can actually dip into the history of the Wild Wild West! You will take a ride in an authentically restored train that looks and feels like the train that ran in the 1950s (except this one is air conditioned! Not only train rides are extremely comfortable, they are also accompanied by live country music and, most importantly, free from the traffic/parking hassle! These tours are great introduction to the Grand Canyon for the first times - experienced, knowledgeable tour guides will share with you everything they know about history, geology and exploration of the Grand Canyon. 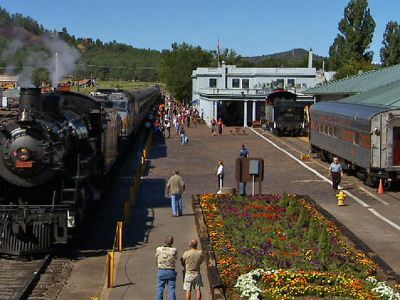 Everything about this popular Grand Canyon train tour from Williams Arizona is designed to take you back in time! After you arrive to the historic 1908 Depot located in Williams, AZ, you will watch a Wild West shootout performed in an outdoor theater near the station. Your Wild Wild West adventure will continue as you embark on the vintage train that will take you to the Grand Canyon. On the way to your destination the historic Grand Canyon Depot - you will witness a staged Old West robbery and will be entertained by strolling musicians. A bus will be waiting for you at the train station, ready to give you a fully narrated tour of the most gorgeous parts of the Grand Canyon. 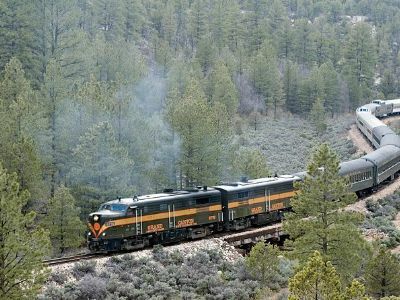 This is another great historic Grand Canyon train tour that will take you around 100 years back in time! This vintage train is actually authentic train that ran in 1901 - it was completely restored for the purposes of this tour. Your trip to the Grand Canyon includes complimentary lunch, live entertainment and fantastic mountain views. Once at your destination, you will have some free time to explore the Canyon on your own. Then a professional tour guide will give you a fully narrated tour of the area and show you the best views of the rim. 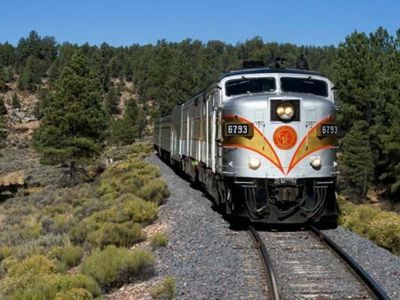 With this 3-day Grand Canyon train tour from Phoenix, you will be able to visit the Grand Canyon as well as the Sonoran Desert and the Oak Creek Canyon. On Day One, you will travel to the red rock country with the amazing landscapes around Sedona. Spend the night at the Matterhorn Lodge. Activities in Sedona will include visiting art galleries, or an optional jeep tour. On Day Three you will go on a narrated tour with a knowledgeable tour guide who will tell you about the history of the Grand Canyon exploration. You can continue exploring the Canyon, take a helicopter ride, watch a movie about the Grand Canyon at the IMAX theater. In the evening, you will return to Phoenix.